Forget Spaghetti and Venus: Women are like CROCKPOTS! Women are touted as being these ever complicated, irrational, and sometimes unsolvably mysterious entities…as if, under our seemingly frail exterior, we posses the superpower to baffle and confuse all in our midst. Slander and calumny! We are simple, rational, and completely “solvable”…we are like Crockpots! Now, I know what you’re thinking…”Crockpots are for cooking and you’re implying women are for cooking”. NO NO NO! It’s much deeper and more poetic than that…stay with me! It’s good, I PROMISE! The crock pot is a simple appliance with a VAST array of tricks in it’s arsenal (that SO screams “WOMAN”)! Some are tiny and for simmering potpourri and love to make rooms smell nice, While others are deep and hold a great deal…and can feed an army with the right time and ingredients. But consider this, even with all their many differences, they are largely the SAME (gasp)! WHAT? Consider this: EVERY crockpot, given the right amount of time & patience, correct ingredients, and a little education on the part of the owner will produce a wonderful and fulfilling result. Whether it be making rooms smell lovely, warming the favorite cheese dip, baking a cobbler for a no hassle dessert, or cooking a meal while you’re gone at work, if you do your part, the Crockpot will always work for you…EVERY SINGLE TIME! The best crockpot isn’t necessarily the one that holds the most or is the smallest…it’s the one that fits your life needs. Some cook more quickly than others, some have special, flashy features and are colorfully decorates, while others are simple, elegant, or basic. Sometimes they have buttons, sometimes knobs…but as long as you educate yourself on how this particular pot works, you can achieve wonderful things and make ANY recipe with dazzling results. But be careful…pushing the wrong buttons (or turning knobs) blindly or frantically tossing ingredients in without following the recipe or instructions may get you a burnt mess that nobody will want to clean up (shock and horror). Not all Crockpots are “Crockpots”: some are just as good as the Name-brand, well badged, crisply marketed Crockpot but require less money to obtain and work a little better or harder while a few masquerade as the real thing but in the end, you realize they are a fake or cheap imitation of the original and not worth keeping. Finally, women are most like the crockpot because, with a Crockpot, it is ALL about what’s on the inside…nobody really cares about the outside of the darn thing (or at least, they shouldn’t). Because, at the end of the day, it can be as pretty as it wants…if there’s nothing on the inside, you’re not going to get anything from it…PERIOD. It’s all about the vessel and what treasures it holds…or has the potential to hold when given the right time, love, ingredients, and knowledge. 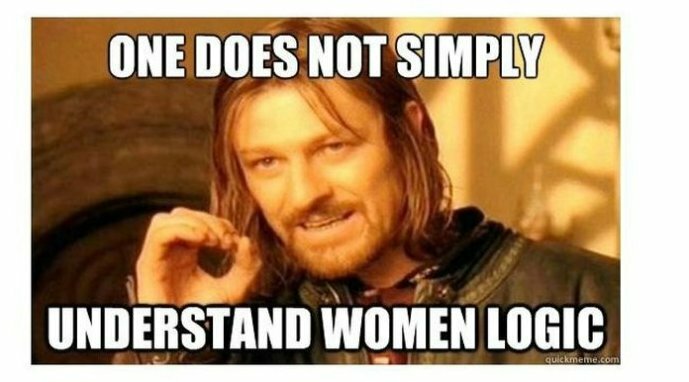 Crockpots are simple…Women are simple. As Always, I Tell you: Go at YOUR pace, comfort level, and EDUCATE yourself! Don’t take my word for it…do your OWN research and decide what’s best for you and yours! Love Wholly, Speak Softly, Eat Yummily, Laugh Heartily, Hug STRONGLY, and be comfortable with being YOU!